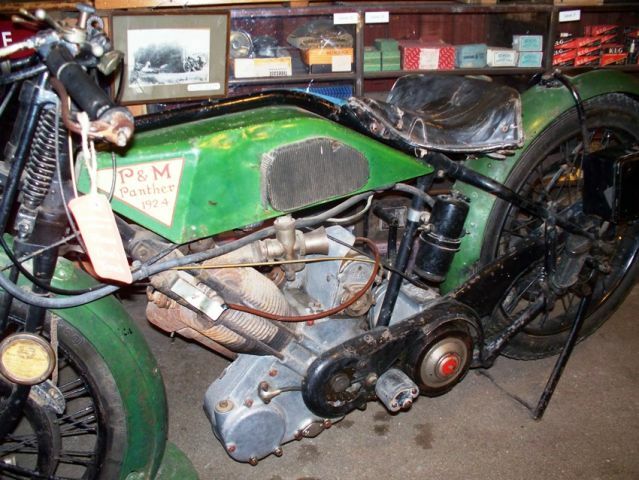 This museum is situated at Bourton on the Water in Gloucestershire, a really picturesque village not far from the Watsonian sidecar works. The last time we visited this museum must be nearly twenty years ago when we rolled into Bourton on the XS 750 and Squire. The museum was then run by Mike Cavanagh who built up the museum collection over many years. He told me that, because of its position in a busy tourist village, the museum was one of the few in the country that made a profit; he also said that he was hoping to sell it sometime in the future. 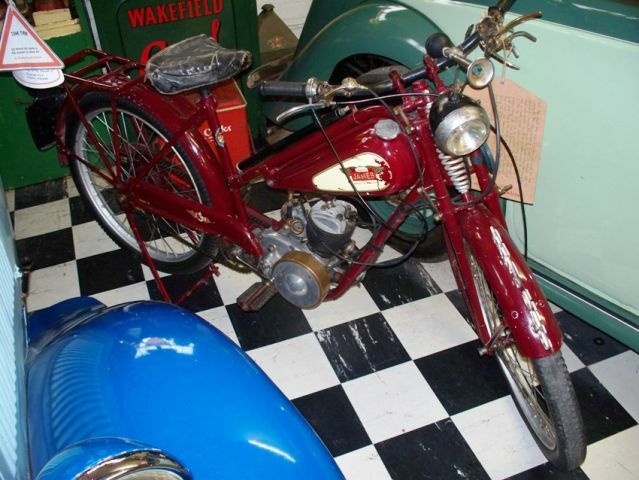 Mike retired in 1999 and the Civil Service Motoring Association (CSMA) acquired the museum. The chap I met this year when paying my entrance fee told me that he had been there for twelve years. Walking in to the display hall, the first exhibit I spotted was a 1936 Brough Superior. There were plenty of memorabilia intermixed with motor vehicles of all ages. 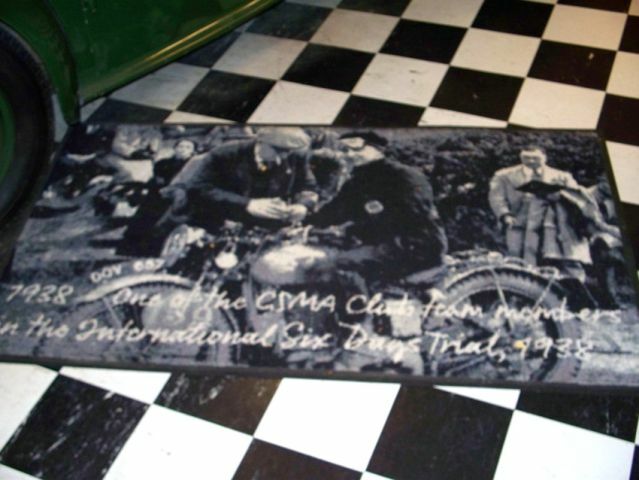 On looking around one thing that impressed me were some floor mats – because the CSMA has been involved with transport for many years these mats were pictures of CSMA motoring events; one was a scene of the club’s motorcycle team taking part in the International Six Days’ Trial in 1938. Something unusual was a film star quiz – there were pictures of film stars of yesteryear sitting in some of the vehicles, and you had to guess who they were – this was an added interest. 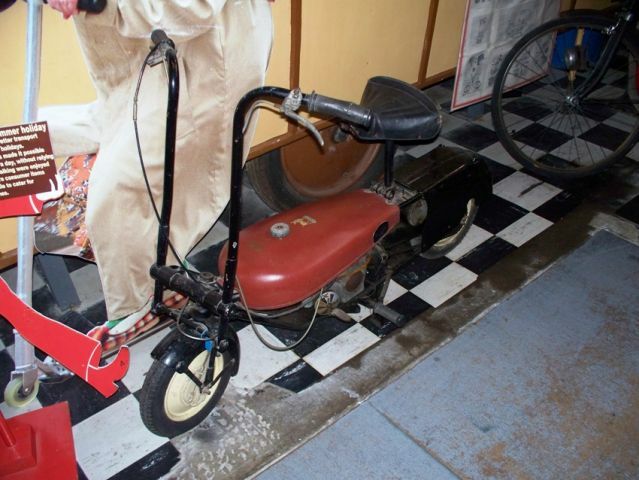 Also on display were a couple of sidecars; one sleek model was a Dornas sidecar. 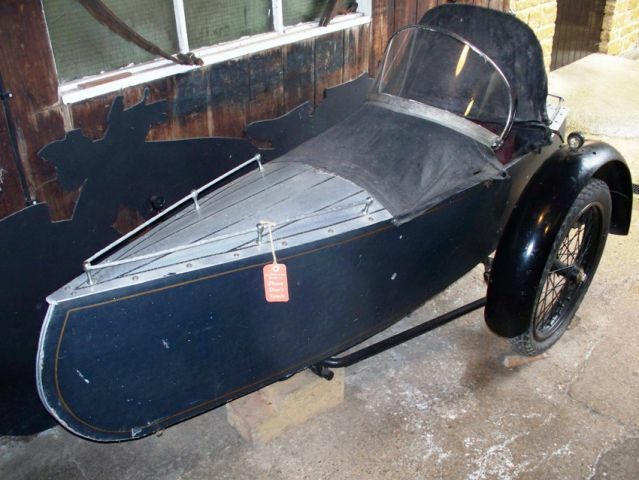 This was made East Sheen, London; these sidecars were made between 1930 and 1939. 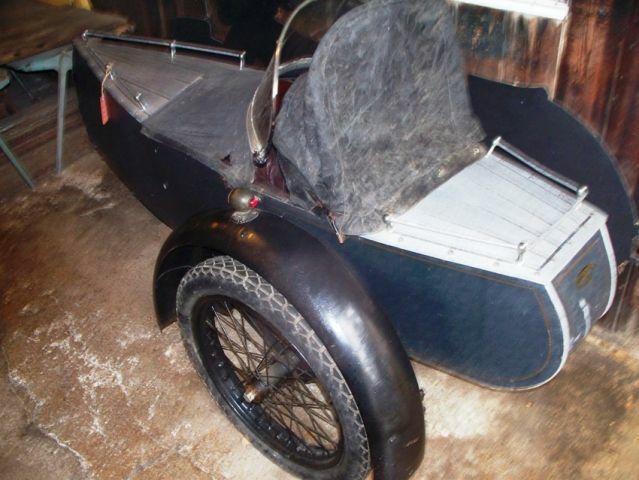 By 1939 the firm made a full range of sidecars. 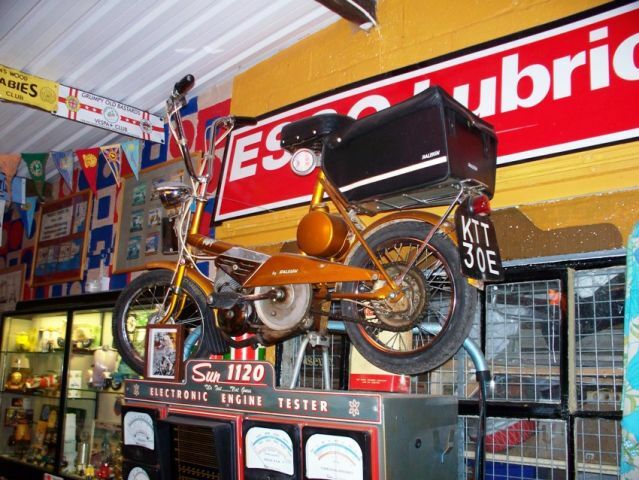 One of the display areas showed some motorcycles which were used to play 5-a-side motorcycle football; there was a film running showing matches taking place. Apparently there were two referees per match, one for each half of the game. Also on display were lots of archive photos of the activities of the CSMA motor club throughout the museum. Quite a few motorcycles were on display. Being a former Panther owner, I noticed a 1924 model, with a badge for the Nomadic MCC of Reading; this was fixed to the handlebars. There were about 20 motorcycles on display in total, ranging from old to newish. A Raleigh Wisp looked like new. Some scooters were also on display. Another hall had films running showing CSMA events and rallies. On one film I counted 7 outfits amongst the cars and solo motorcycles. It was interesting trying to remember all the different makes, as many of the films were 50 years old! Just a word of warning – check before visiting because the museum closes for about 3 months during the winter, They have a few self-catering cottages on the site for those wishing to stay a few days in the area. There is a well-stocked shop, selling all sorts of related regalia. One thing I spotted was a discount card giving 10% off. This states “We hope that enjoyed your visit today, and we’d love to invite your friends and family to enjoy the museum too”. This could be useful for anyone thinking of organising a ride out to here. There is a large range of models and toys, including an amazing collection of Ford motor vehicles. There is an outside tea and coffee area with seating, unfortunately of no use to us on the day we were there because it was pelting down with rain!! In the car park there is replica of a Mini made of a wire outline framework with bushes growing in it. In another year or two, when the bushes have grown more and are trimmed this will be very impressive. The museum is well worth a look. They state that they have over 800 enamel advertising signs, and these alone are worth a look.